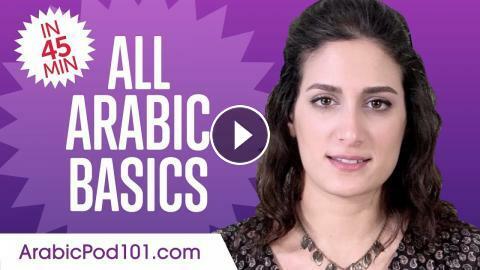 This is the best video to improve your Arabic skills! In this video, you’ll discover the best way to get started with your Arabic studies. You'll be given learning strategies, tips but also all the grammar and vocabulary you need to understand the basis of Arabic language. This is THE place to start if you want to start learning Arabic, and improve both your listening and speaking skills. Learn Arabic - Arabic in 3 Minutes - How Much?